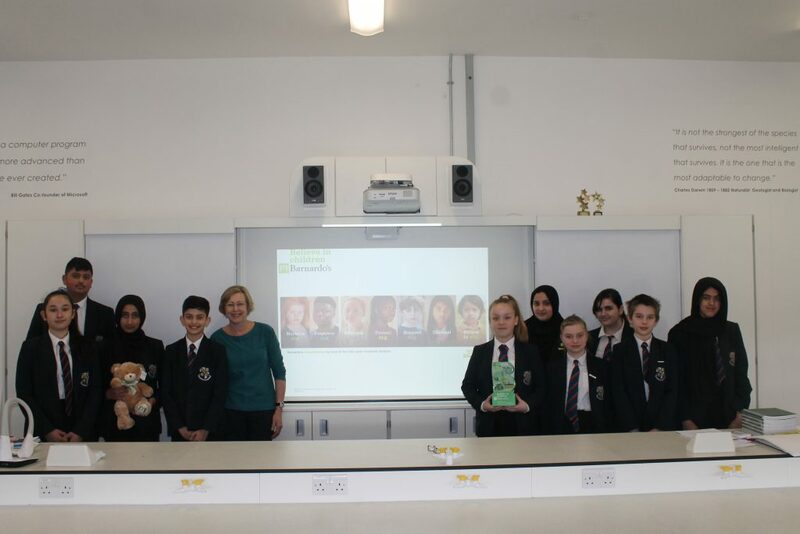 Sue Westbury, Senior Relationships Manager at Barnardo’s delivered a powerful assembly outlining the story of the origin of the charity. Thomas Barnardo moved from Ireland to London to train as a Doctor but was shocked to find children living in terrible conditions, being subject to poverty and disease. He set up a ragged school in 1867 and quickly gave up his medical training to set up his first home for boys in 1870, later removing limits on numbers in the home, he vowed not to turn anyone away. After his marriage in 1873 the couple set up a home for girls. From those origins the now huge charity was born. In Bury there is a 12 bed supported accommodation for young people aged 16-21 who are homeless or at risk of homelessness. In the workshop that followed, the form ambassadors for the charity came up with some innovative fund raising ideas, that they will explain to their forms and look to implement in the following months. Their determination to support the charity was evident from their positive response.